In addition to the 10th anniversary Grand Seiko GMT limited editions, Seiko has just unveiled a special edition of the Grand Seiko High Beat 36,000 bph at Baselworld 2012. Harking back to the painstaking adjusted chronometers of old that competing in timing contests, the Grand Seiko High Beat Special Edition features specially adjusted calibres. 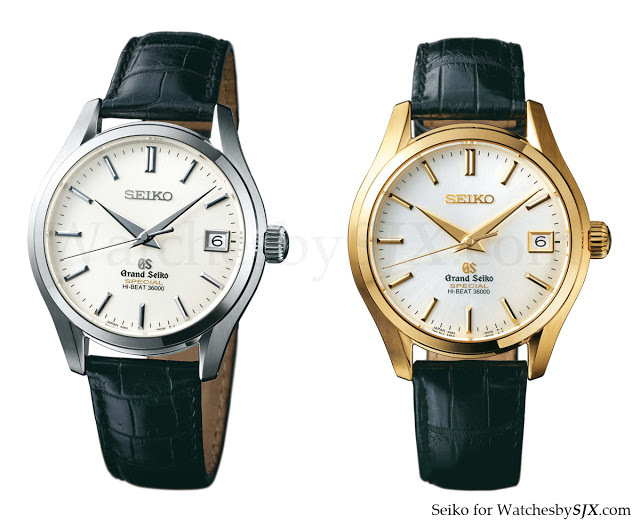 Of course Seiko has a successful history in chronometer trials. One reason the Swiss chronometer trials were discontinued in the seventies was the fact that Seiko was winning many of the the top prizes. In fact, Seiko made Grand Seiko VFA (Very Fine Adjusted) watches in the seventies that were specially adjusted for exceptional chronometry. Each of the 9S55 movements used in this edition has the hairspring individually selected and adjusted by the most experienced watchmakers at the Shizukuishi Watch Studio in Morioka. This results in exceptional chronometric performance – even superior to the already excellent Grand Seiko standards for the regular line. The performance gain is only one second in each direction, but this is almost like Formula 1 where the tiniest gain is almost impossible to achieve – and guarantee. A published -2 / +4 seconds mean daily rate is a remarkable standard for a mechanical watch. Compare this to COSC which just needs -4 / +6 seconds. If only this watch could participate in the Concours de Chronometrie timing competition (which is limited to only European participants). Maybe Seiko should buy a Swiss movement maker, like Citizen just did. The High Beat Special Edition has a 38 mm case and is available in white, yellow or rose gold. 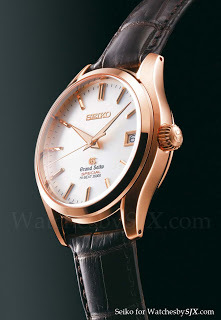 The display back shows the rotor which has a solid gold medallion with the Grand Seiko lion logo. The white gold is ref. SBGH019 and retails for EUR24,700. Yellow gold is SBGH020 and retails for EUR23,300. 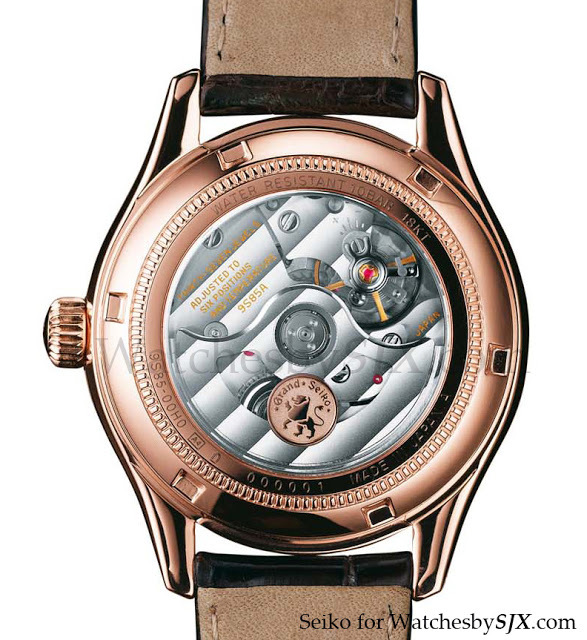 Lastly rose gold is SBGH022 and the price is also EUR23,300. This book profiles a dozen watchmakers, including Kenji Shiohara of the Seiko Epson Micro Artist Studio.